When its festive time, you ought to be at your stylish best! Ditch those regular saree blouses and add edginess to your Indian drape with exclusive designer blouses. The six-yard magic! 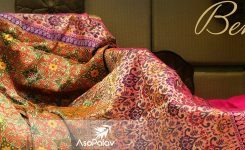 An Indian sari is one of the most mesmerizing forms of attire in the world. From formals to casuals, this drape has invaded the wardrobe of Indian women as well as caught the attention of ladies across the globe! 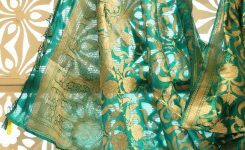 Well usually when you buy a sari, you tend to focus on the fabric, the border, print and embroidery. 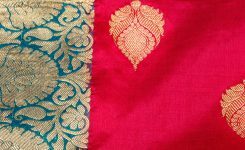 The Indian sari attire includes a skirt which is covered completely by the drape and a blouse which is like a crop top. Inspite of being a prominent part of the ensemble, the blouse has been a relatively neglected part and the blouse fabric either a plain piece of cloth or one matching the pattern on the drape. 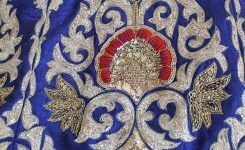 It is usually an extended panel at the edge of the sari. 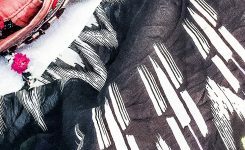 However, the shift towards designer-wear and exclusivity has brought about a demand for variations in this prominent component of a sari ensemble. These days plenty of trendy ready-made blouses are available in the market that can add interesting edginess to saris. So if you’re one of those outstandingly fashionable ones, statement blouses are definitely a wardrobe staple for you! 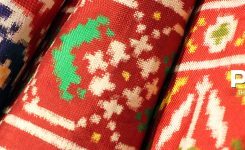 As the festive season gets close, your frantic search for the best traditional outfits will get stronger. So before you start thronging malls only to get confused and stressed, plan your attire first. A sari is one of the best outfits for any Indian festival. While saris look great, festive saris can cost a packet. So instead of spending more on a heavy sari, you can opt for a relatively simple drape and pair it up with an outstandingly stylish designer blouse! Glamorizing the Indian saree by giving it a global appeal, a halter neck blouse gives a smart fusion touch to your traditional drape. A halter neck blouse is best suited for women having slender arms and well toned shoulders with visible collar bones. If you’re looking out for an embroidered blouse, opt for one with cut-out patterns bordered with embroidery instead of a regular embellished one. Cut-outs look best over a plain fabric. To make the outfit more interesting, you can even add appliqués around the pattern! A high collar embellished blouse with stone and zardosi embroidery gives a grand and regal look. Popularly known as the Chinese collar, this neckline is a highly trending style in saree blouses these days. Brocade gives a rich and extravagant look to any ensemble. 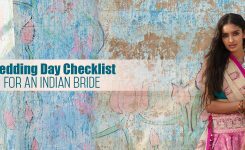 An entire brocade sari would do great for a festive occasion, but if your budget is limited, you can team up an art-silk or a satin-georgette saree with a brocade blouse. Choose golden or silver weaves to keep up the festive look! If you’re wearing a plain sari, teaming it up with a bold striped blouse will completely uplift the look of the ensemble. Choose blouse colours contrasting the hues on the drape for a bolder look! Festivals are a time where you ought to look your best. So unleash the creative stylist in you and experiment with your wardrobe! Ditch those regular blouses that come along with your saree and add that X-factor by picking up a trendy designer blouse!